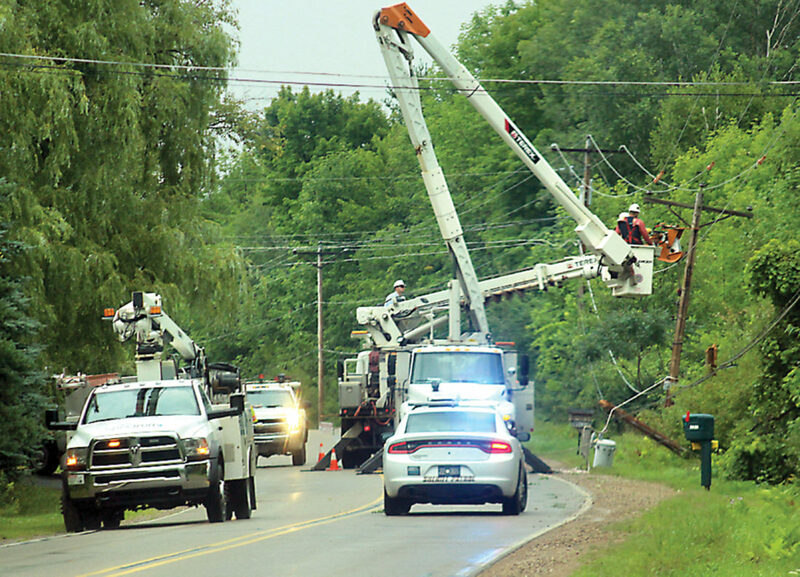 Strong storms brought winds and heavy rain to the area Tuesday afternoon, causing a number of downed wires such as this one on South Lake Antoine Road in Breitung Township. Breitung Township firefighters had to block the road for a time while workers repaired the damage. Iron Mountain firefighters also responded to reports of downed wires on the 700 block of West A Street and 1400 block of West B Street. The Dickinson County Road Commission reported trees down on M-95 and Sawyer Lake Road in Sagola Township, but was still checking on possible damage this morning. The Iron Mountain-Kingsford Wastewater Treatment Plant in Breitung Township recorded 2.6 inches of rain.